Various safety and medical groups have been warning about the growing prescription drug epidemic in the U.S. for years. A new report shows why there’s no reason to think that any particular group of workers, even those subject to regular drug testing, are immune from this trend. Nearly 8% of workers involved in railroad accidents tested positive for drug use including pot, cocaine, tranquilizers, ecstasy, Oxycontin and morphine in 2016, according to federal documents obtained by The Washington Post. In 2016 to date, 16 rail workers have shown positive post-accident drug tests. This news comes despite the fact that railroad workers are among the most heavily drug-tested employees. They’re tested before they’re hired, at random and after safety errors. The Post says federal regulators “began sounding an alarm this spring.” Regulators have been meeting behind closed doors with railroad officials and union representatives. What does this show? Despite drug testing regulations enacted by Congress for safety-sensitive workers in transportation industries, these workers are just as susceptible to drug-use trends as the rest of society. “There is no reason why our industry would be immune from an epidemic affecting the entire country,” said Sarah Feinberg, FRA Administrator. “Workers who are intoxicated on the job are a danger to themselves, other workers, passengers, and anyone else who may cross paths with a train,” Feinberg said. Railroads are required by federal law to drug test workers who are considered “safety-sensitive” – their performance can put lives at risk. But as regulations are currently written, train repair workers aren’t included in this group. That could change next year. A new FRA rule would require maintenance and track workers to undergo the same random drug testing as other workers whose jobs are considered “safety sensitive.” It’s scheduled to go into effect April 1, 2017. Railroads have petitioned to delay the new rule for 14 months, pushing it into the middle of 2018. Feinberg says any delay is unacceptable. The message is clear: If these workers who are subjected to regular drug screening (and know they are) are testing positive at greatly increased rates, it’s likely the same goes for other workers, too. The National Safety Council has been out front in bringing the problem of prescription drug addiction in the U.S. into the spotlight. Re-evaluate your company’s drug policy. Prescribed painkiller abuse should be addressed in policies. 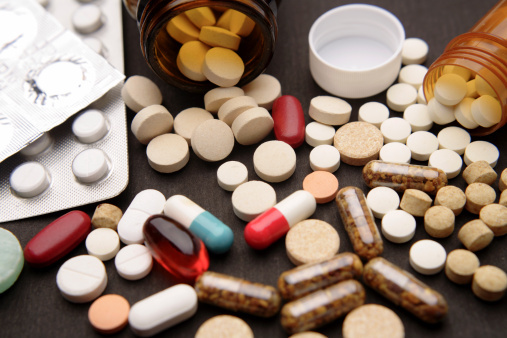 Educate employees about the dangers of prescription painkiller use and misuse. Employees should know the risks of taking painkillers while performing safety-sensitive tasks. Train supervisors so they know about your company’s drug policy, potential signs of employee drug impairment and what they should tell workers about prescription painkillers. Promote your employee assistance program. Let employees know there is help available. Address prescription medications in your drug testing program. Testing can show if employees are taking something for which they don’t have a prescription or if they’re taking too much. Partner with your healthcare and workers’ compensation insurance companies. Consider closed formularies where opioid prescriptions require prior authorization.